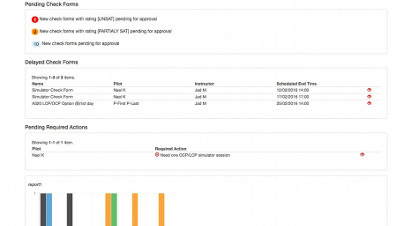 CTMS - Pilot Check is a software solution to build, schedule, fill in, monitor and analyse pilots’ proficiency check forms, stands as a modern and efficient alternative to paper based documents. 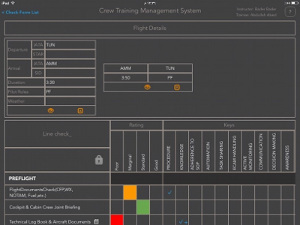 The features provided through the Web and iPad applications were closely built with airline training managers and instructors, taking into consideration their day to day tasks, always keeping in mind the goal of reaching trainings best outcomes. 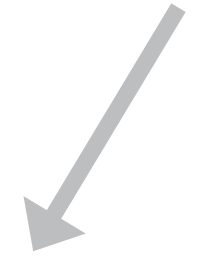 Using the flexible way of creating forms, you will have all your organization’s needs met, whether you are an airline or a training academy applying EBT, ATQP, AQP or any other methodology. 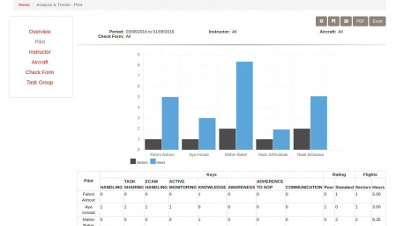 CTMS - Pilot Check iis a scalable software platform that responds to the business needs of all types of airlines and aviation training academies. Having an experience of over 35 years in providing quality software products and services, here at E&M Group we strongly believe in the uniqueness of each business, therefore CTMS is built to satisfy your requirements through adaptive delivery models; On Premises and Software as service (SaaS). Contact us to have your demonstration server ready and let our team explain the functionality in depth and answer any question you have. 12B Ali Yahya Al Sarayra Str.